Have you thought about what happens AFTER birth? Too often we think about “bouncing back” from pregnancy, ignoring the important new changes to our bodies and lives. You have created a whole tiny human, birthed that baby, and the life changes keep on rollin' in as you and your family adjust to your new roles and family dynamic. This is big stuff, friends. For some reason, after giving birth we have a notion that within days we should be able to jump right back into life as it was before birth and baby. Why?! Give yourself some time and space to rest and recover. Let's be real here for a minute, O.K.? There is no going back, friends. You have some serious healing to do - even if your birth was "text book" and physically you feel great! Your body has given so much to your tiny human during pregnancy and you need to replenish and find a new way forward. Whatever you want to call it, the weeks and months after giving birth are an important period of time for you, your baby, and your whole family. Just as you made space for learning and self care during your first three trimesters, giving yourself that same love and care during the first few months after birth is absolutely important! So, what can you do to help yourself during that postpartum period? Cloth pads: County Cloth Creations Fridet the MomWasher: Fridababy Herbal sitz blend: Hello, Baby! 1. Invest in some quality postpartum care products. You don't need a whole lot of gadgets and fancy pants stuff after birth (though we are HUGE fans of Fridet the MomWasher for perineal care - it just makes sense!) but investing in some natural and effective care products can help make your recovery from birth a whole lot more comfortable. The Hello, Baby! shop (located downtown Peterborough) has a great selection of healing and self care products - come check them out! 2. Take a class! There is a lot to learn about postpartum wellness. Part of our Birth + Baby Prep School classes focuses on recovery from birth (vaginal and cesarean) because as birth parents ourselves, we know how important it is to know what is normal and when to reach out for help after birth. We also have some other amazing learning opportunities coming up at the Hello, Baby! hub if you want to plan ahead and make your postpartum recovery a little easier! Jesse Gottlieb-Jacob R.Ac R. Tcmp has been practicing Traditional Chinese Medicine (TCM) in Peterborough for ten years. In that time he has worked with many women trying to conceive, maintain a healthy pregnancy, prevent the need for inductions, and restore postpartum health. His aim is to provide insight and support to make the transformative time of pregnancy as nourishing and connected as possible. Join Jesse to learn about the tradition of Sitting Moon. 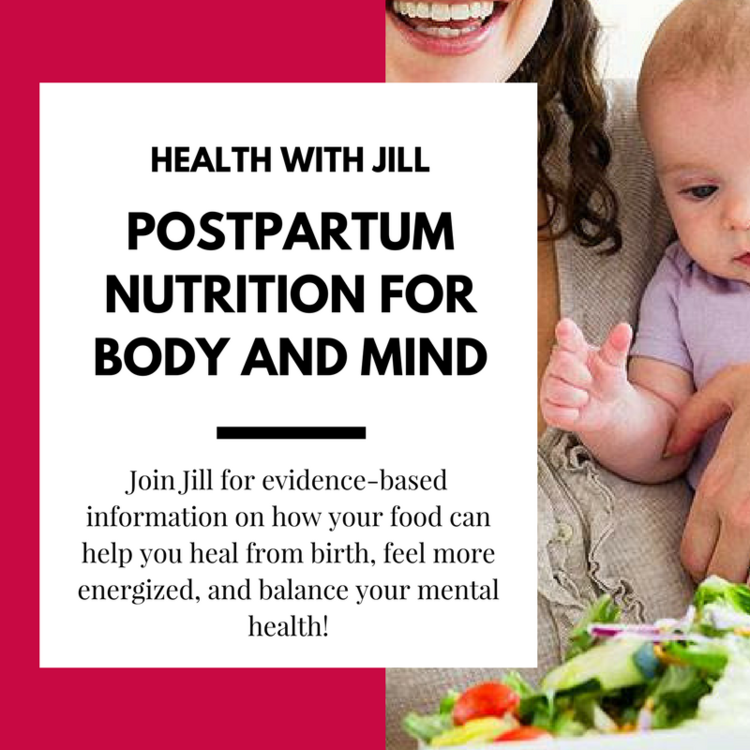 He will walk you through examples of how you and your family can support your postpartum recovery, review some nutritious recipes, and demonstrate helpful exercises that you can practice safely after birth. Wear comfy clothes and bring a notebook. Yoga mats, water and tea provided by Hello, Baby! Join Jill Persson from Health with Jill on July 12th from 10am to 1130am to talk about how to eat well after birth! 3. Build your community & learn new skills! Connecting with other new parents is such an important part of finding balance in your new life. Choosing one or two weekly activities to break up the weeks and keep you connected to your peers is a great idea! The New Parent Club is one of the best weekly meet ups around because it combines community, comfort, and learning. The New Parent Club is a 6 week session for you and baby. You can come and enjoy a comfy couch, refreshments, and weekly mini-workshops on subjects ranging from infant sleep to family friendly natural remedies facilitated by health and wellness professionals right here in Peterborough! Grow your skills base and learn from one another - this is the way parenting is meant to be. Make the most of your 4th trimester! Don't rush yourself through such an important time in your life. Healing physically and emotionally after birth sets you up for a smoother transition into parenting and a healthier life! Invest in yourself and spend some time making a postpartum plan to help you and your family move forward into your new lives with baby! The New Parent Club runs in 6 week sessions throughout the year! Join the club and come out with your baby to make new friends and chat with health and wellness professionals from our community about everything from sleep to setting positive intentions for your journey! On the subject of setting positive intentions... have you met Bonnie?! Bonnie is an RYT 200hr Yoga and Meditation teacher, classically trained in Hatha Laya Yoga and Ayurveda, as well as a practicing Reiki Practitioner with a background in Holistic Nutrition and Social Services. She offers her passion for women's health and family wellness through her business Mindful Mama's, offering programs and services to mama's and families from bellies, babes and beyond. Check her out on Facebook! Every session of the New Parent Club will wrap up with a beautiful group vision board making activity led by Bonnie Carl of Mindful Mamas Wellness. Join together with your new friends to create an intuitive and heartfelt vision board of affirmations, manifestation, abundance, release and positive vibes to bring about the parenting experience you wish for! We provide the materials and you provide the inspiration, friends! After five weeks of learning, sharing, and skill building a little creative release is just what you need! The beautiful vision boards can be taken home by a group member or displayed in the Hello, Baby! hub to inspire the next generation of New Parent Club members in their journey. Join the New Parent Club Now! Hello, Baby! is all about education and skill building which is exactly why we reached out to Erin Oliveira to join the New Parent Club! Erin is a Certified Sleep Consultant through the Family Sleep Institute and a Good Night Sleep Site Educator. She is more than a sleep consultant - she is an educator who takes the time to explain the "why" behind her suggestions with evidence based information. She offers suggestions, skills, and methods compatible with all parenting styles and approaches sleep from a family centered perspective. Join the New Parent Club to talk sleep with Erin! Erin will join us once every 6 weeks to talk sleep, pass on some pro tips, and give you some guidance to get more sleep with less fuss! You can ask her your questions and get some real answers specific to your situation in the comfort of the Hello, Baby! hub while lounging and sipping on some tea. Sound good? Join the club!